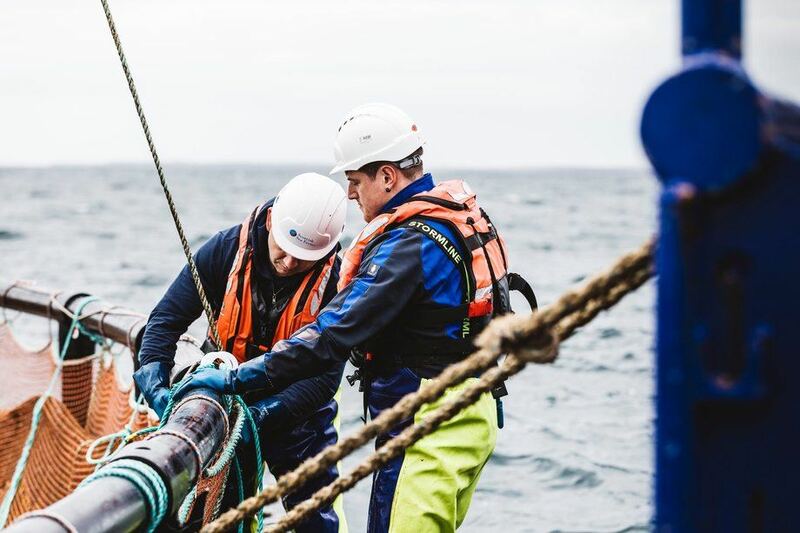 Scottish Sea Farms harvested fewer fish and generated lower gross operating revenues of NOK 547.3 million (£49.8m) in the third quarter of this year, compared with the corresponding period in 2017 when it earned NOK 631.9m (£57.5m). The decrease is attributable largely to the lower harvested volume, according to today’s Q3 2018 report by Norwegian fish farmer SalMar, which owns 50% of the company and described SSF’s results as “good”. SSF harvested 8,100 tonnes in the quarter, 1,900 tonnes more than in the previous quarter, but 1,300 tonnes less than in the corresponding period last year. SalMar’s report said SSF’s underlying operations have been good, but the financial result reflects higher costs in Shetland than in the second quarter, as well as lower volumes harvested in mainland Scotland and the Orkneys. The fish harvested in the quarter have had a favourable average weight. Contract sales accounted for 39% of the volume. In the first nine months of 2018, SSF harvested 20,800 tonnes, 3,000 tonnes less than in the corresponding period in 2017. EBIT per kg gutted weight came to NOK 19.25 in the period, compared with NOK 19.46 per kg in the same period last year. SSF expects to harvest around 26,000 tonnes in 2018. Overall, SalMar said it delivered a strong performance in Q3 2018, driven by cost improvements and good price achievement. Operational EBIT for the quarter totalled NOK 939.1m compared with NOK 801.3m in the same period last year. “Efficient operations and a strong biological performance have helped SalMar deliver a strong financial result. This achievement has been made possible by the dedication and hard work of our employees, whose efforts have contributed to lower costs, good price achievement and increased efficiency in our harvesting and processing plants,” said SalMar’s chief executive Olav-Andreas Ervik. Gross operating revenues totalled NOK 2.8 billion in the period, up from NOK 2.7 billion in Q3 2017. A total of 36,100 tonnes of salmon were harvested (Q3 2017: 34,000 tonnes). The price of salmon in the period averaged NOK 54.80 per kg, down NOK 1.75 per kg from the same period last year. Despite the lower prices, SalMar increased its EBIT per kg by NOK 2.31 to NOK 26.03. SalMar expects to harvest 143,000 tonnes in Norway in 2018: 100,000 tonnes in Central Norway and 43,000 tonnes in Northern Norway.